Thank you for the photo of my grandparent's grave. This will help us to locate the grave as we never knew exactly where they were buried and want to visit it to leave flowers. I never thought I would find this information on the internet and it is a wonderful link to the past. 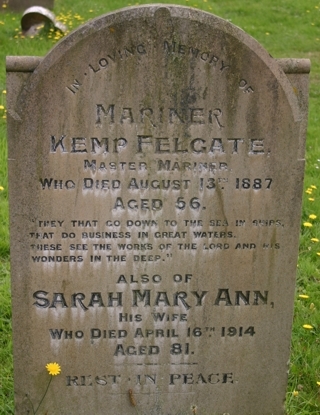 When did Kemp Felgate die?